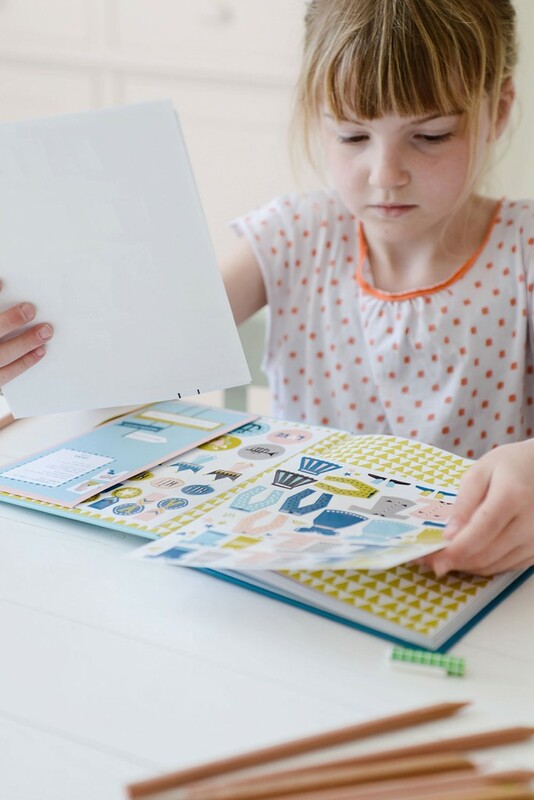 I’m super proud to announce a little project I’ve been working on with my friend Julie Marabelle (the super talented lady behind the well known brand Famille Summerbelle) and Snor, the coolest publishers here in the Netherlands: we made a Friends’ Book! 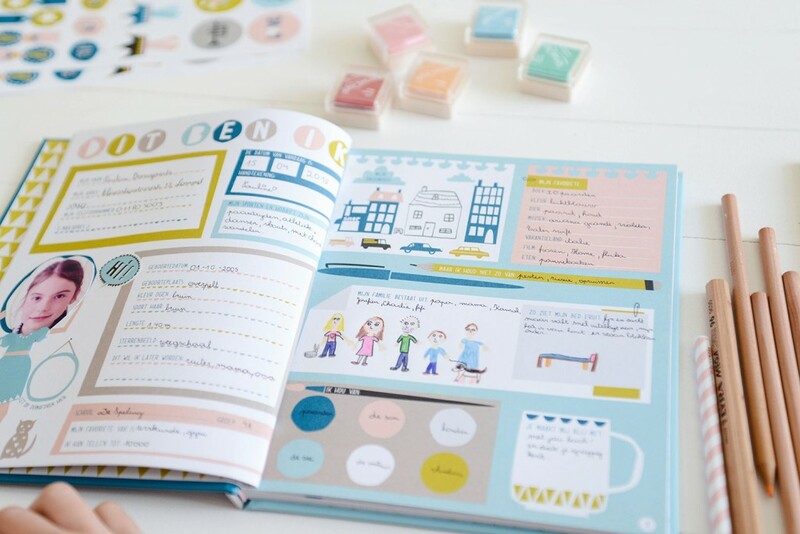 Now, if you’re not Dutch (or Belgian, or German) you probably have no idea what a Friends’ Book is… Our ‘Vriendenboek‘ (Friends’ Book) consists of 31 double pages with pre-printed questions — one to be filled out by the owner of the book (the ‘This is me’ section), the rest is meant for 30 friends and/or classmates. 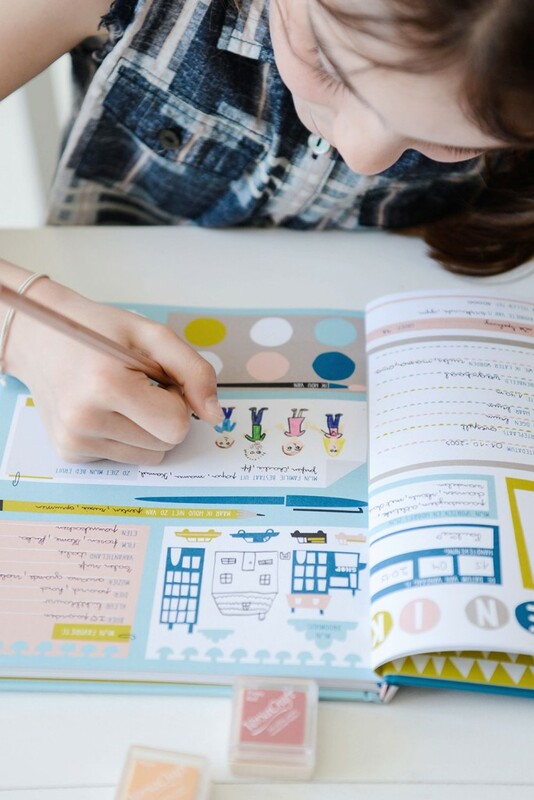 There are passport-like questions (like name, address, length, hobbies, sort hair, favourite school subject, etc), but also more creative questions such as ‘What is the nicest thing you and I did together’, ‘Draw your dream house’ or ‘This is what my bed looks like’. There’s space for a photo, which is carried by a character in underwear that can be dressed with the cool clothes stickers that come with the book. 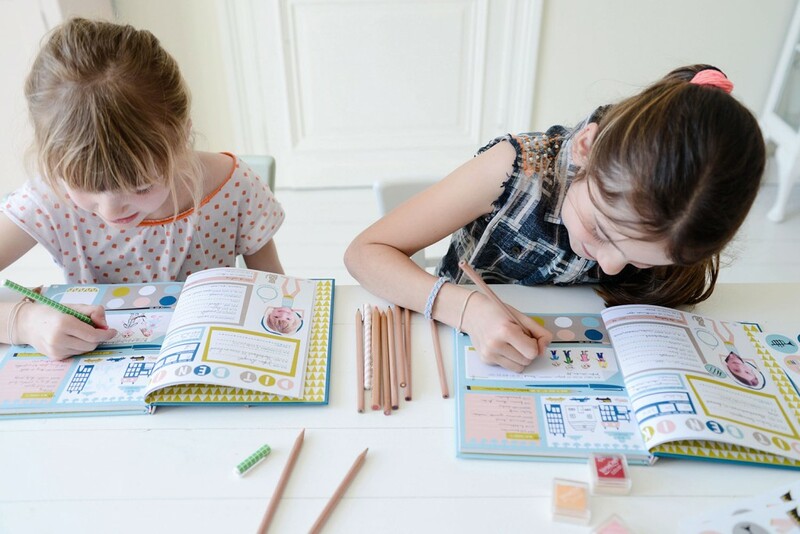 Julie and I have been brainstorming and designing to come up with a modern, cool and good-looking friendship book filled with fun and interesting questions, and it is finally here. And I’m so happy with how it turned out! The way the paper feels, the way the colours turned out, the quality of the stickers in the back — it’s all beautiful! 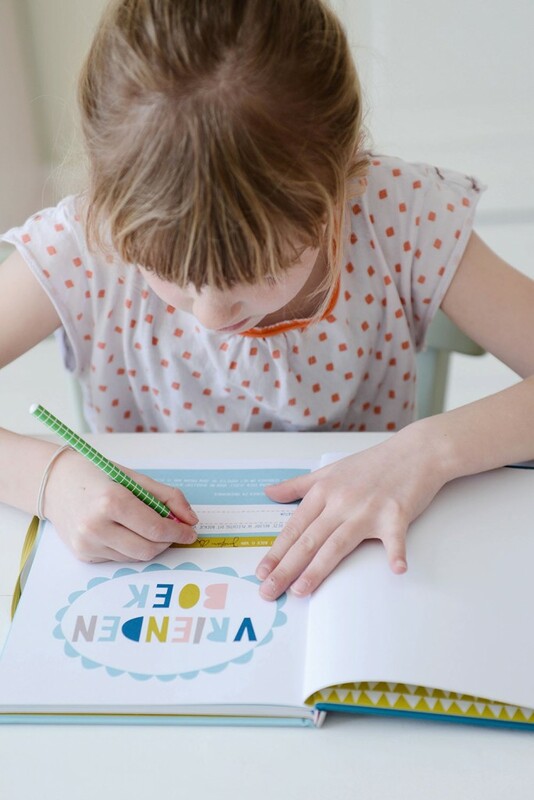 At the moment, the Friends’ Book is only available in Dutch… You can get it here for shipment in the Netherlands, or here for international deliveries. And hopefully it will soon be available in English, and other languages as well! PS All the beautiful photos above are by my friend Yvonne from Yvestown. Thank you Yvonne (and your neighbours Josefien and Pauline, such sweet models)! 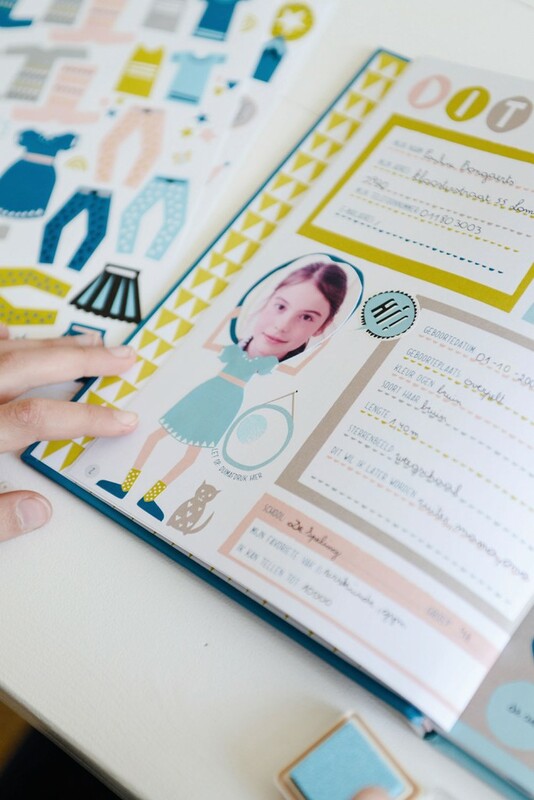 And a big thank you to my Dutch blogging friends Bubbelmint, Oh Marie!, Moodkids and UrbanMoms for their lovely reviews. Julie also wrote a nice blogpost about our book, with great photos, here. Love this! We used to have this growing up in Norway too! What a beautiful concept, a friend’s book! Congratulations, Esther, amazing inspiration you are. Ohhhh, I would like – no, I NEED to some of these Books in german – Esther, do you know, when it will be available n german language?????? It is the Best! So wonderful! Congratulations!!!!!!! What a great idea! The book is beautiful too. Kudos! Hi Esther. 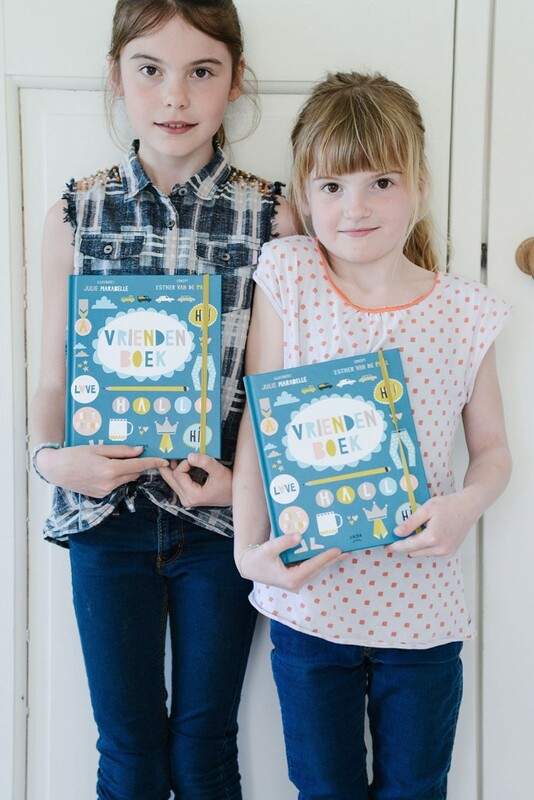 So sweet that you’ll have a book called the friends book. In India when I was teen- preteen age (I’m almost 30 now) we used to have a similar book we called the SLAM BOOK. it was traditional brought to school on the last day before we hit summer vacation. It was popular among the girls, and maybe pre teen boys (I went to an all girls convent school) the book has similar questions and blanks to fill out like the friends book, probably also included sections like current crush depending on age group and we would fill it out with our makers and glitter pens. The school authorities did not support the popularity of this book. Although the friends book look so much more innocent and sweet!! So fun, I cannot wait for the French version!! Well done; a real achievement. I look forward to the publication of the English version. Hi Esther – it looks so amazing! What a perfect partnership between you and Julie – fab!!!! When is it available in English or German??? My kids will leave their school at the end of this year and absolutely NEED one! Hi, just discovered these books whilst on holiday in Belgium! I would love this book in English. Just lovely!